Motorists often complain of having to carry their driving license during document verification. THIRUVANANTHAPURAM: Motorists often complain of having to carry their driving license during document verification. 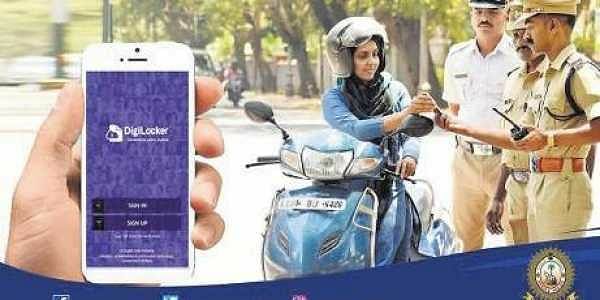 With the mParivahan DigiLocker application launched by the Centre, motorists can now upload their license on a digital platform. However, officials say there are practical difficulties in fully implementing the app in the state. “Unlike other states, documents like the driving license is not stored in our state server. Until, the DigiLocker is linked to the state server, it won’t be legally valid. So, it is learned that it will take some more time to link the server with the app,” said P S Rajasekharan, deputy director, Police Information Centre. Discussions are on regarding its long-term application. “We haven’t been able to resolve the problem. However, we are conducting a meeting soon to resolve all the loopholes in using the service,” said Rajeev Puthalath, Joint Transport Commissioner. As a temporary solution, the Road Transport Ministry has decided to pull the information from the state registry during verification checks instead. As per the Motor Vehicles Act of 1988, documents like the driver’s license which are stored in the DigiLocker can be produced during document verification. The Centre had received several complaints stating that police officials were not accepting the license stored on the digital platform. However, there is a clause. The documents will only be valid if it is linked with Aadhaar. “This cloud-based platform can be accessed only after you link it with the Aadhaar and you can register the same via DigiLocker. There is still a misconception among people that documents downloaded in any platform can be produced before the officials during license checking,” said Rajasekharan. More than 219 different types of documents can be stored in the digital platform. Registered certificates, driving license and insurance policy papers can also be stored on the app and can be accessed as required. In case the digital copy of the following documents cannot be retrieved from the app, there is also a provision to scan the physical documents and then store it in DigiLocker with a digital signature. Through this app, one can also avail other transport- related services and information.The app is part of Centre’s Digital India campaign. Once the server is linked with DigiLocker, the app will help ensure that drivers do not lose their original copies. DigiLocker is a cloud-based platform for issuance and verification of documents and certificates digitally.